The time has come to improve home improvement. Forget about filing cabinets and pen and paper documentation. The digital future stands waiting. Smart Service home improvement software will make all the dreams you have for your business come true. Increase your efficiency, eliminate waste, and improve your bottom line. New business software sometimes comes with a brutal, vicious learning curve. Smart Service, on the other hand, arrives in the form of a direct add-on to QuickBooks. This means you’re simply bolstering your current software, not adding a whole new program. 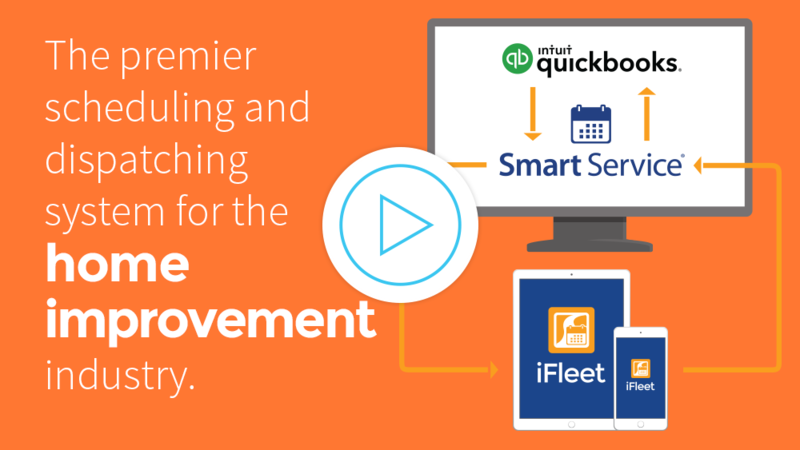 Smart Service turns QuickBooks into the ultimate home improvement business software. Learn more. How does Smart Service bolster the efforts of home improvement businesses? Smart Service provides digital, mobile quoting abilities, giving you a better chance to close deals during the initial estimate. After you’ve won a job, scheduling the work and managing the project in the software will save boatloads of time and stress. Learn more. The future of home improvement fits very nicely into the palm of your hand in the form of the mobile Smart Service home improvement app. Give your team the power to handle quotes and paperwork in the field with ease and efficiency. Mark your progress by adding pictures to work orders. Keep everyone on the same page by providing service histories for each project currently on the table. Give yourself the high-tech tools you need to succeed. Learn more. Learn how other businesses have used Smart Service to revamp their operations.